Bellator MMA President Scott Coker has something to say about Meryl Streep's much talked-about speech while accepting the Cecil B. DeMille award at the Golden Globes on Sunday. Streep, 67, riled up both MMA and NFL fans -- as well as President-elect Donald Trump himself -- with a pointed dig during her speech that had celebs in the audience clapping. "So, Hollywood is crawling with outsiders and foreigners," Streep said, criticizing Trump. "And if we kick them all out, you'll have nothing to watch but football and mixed martial arts, which are not the arts." On Sunday night, Coker tweeted an open letter to Streep, and insisted that mixed martial arts is indeed an art. Coker also praised Streep as "very talented," and said he was a "lifelong fan" of her work. "The global sport of mixed martial arts celebrates male and female athletes from all around the world who work years tirelessly honing their craft -- and yes -- art," Coker wrote. "They come from every country and every walk of life. We at Bellator support them and honor their skill." Coker invited the Oscar-winning actress to be his guest at an upcoming MMA event at the LA Forum on Jan. 21.
" ... You will see that Mixed Martial Arts is truly artistic," Coker tweeted. The always outspoken Trump also had something to say about Streep on Twitter following her critique of him, calling her "over-rated." "Meryl Streep, one of the most over-rated actresses in Hollywood, doesn't know me but attacked last night at the Golden Globes," he responded. "She is a Hillary flunky who lost big. For the 100th time, I never 'mocked' a disabled reporter (would never do that) but simply showed him 'groveling' when he totally changed a 16 year old story that he had written in order to make me look bad. Just more very dishonest media!" Still, plenty of celebs had Streep's back, praising the powerful speech. 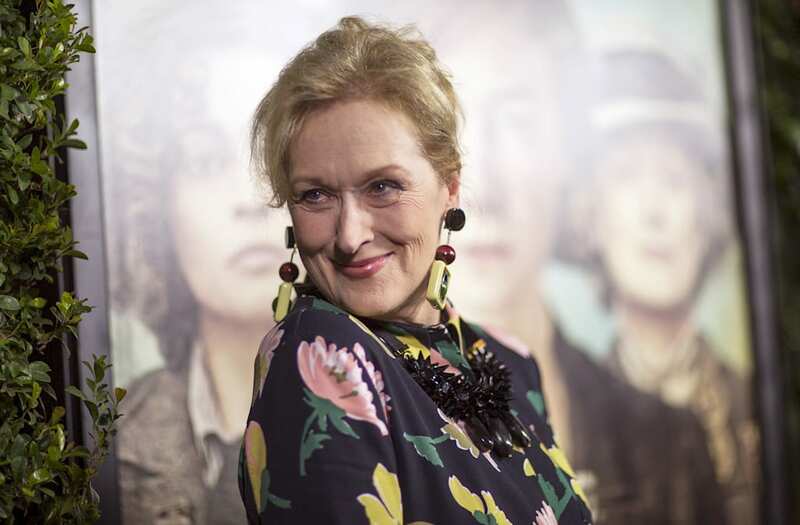 "There has never been anyone like Meryl Streep. I love her," Ellen DeGeneres tweeted, while Jane the Virgin star Gina Rodriguez wrote, "Meryl, you give me life." Victoria looks gorgeous wearing a stunning gown by Julea Domani by Zeena Zaki.